Chestnuts are a typical fruit from the fall season: they contain the 7% protein, 9% fat and 84% carbohydrates. Like all plant foods, chestnuts have no cholesterol. 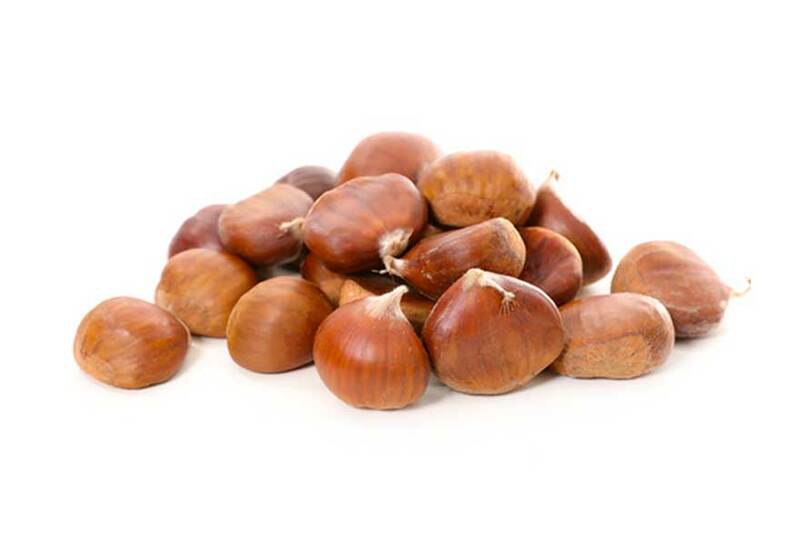 100 grams of chestnuts (edible part) provide 81 mg phosphorus, 30 mg of calcium, 0.9 mg of iron and 395 mg of potassium. They are therefore an important source of valuable minerals for our body. Chestnut is a food with high energy value, useful in autumn and winter to recover energy. It contains fiber useful for bowel activity. From a nutritional point of view, the chestnuts have a composition similar to that of cereals despite being gluten-free; for this reason chestnuts have been nicknamed for a long time “grains that grow on trees” and were widely used in the past. Chestnuts are very digestible and is recommended in cases of anemia and are a source of folic acid, whose intake is recommended especially for pregnant women. They contain phosphorus, which makes a food useful for the nervous system. They are useful in convalescence, for example for elderly and children after influence.